Selling a home is not as simple as putting up a ‘for sale’ sign and waiting for buyers to come to you. 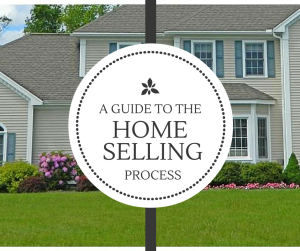 Here is a basic overview of the steps involved in selling your home. Hiring the right agent is the most important thing you can do to get your home sold. 90% of all real estate is sold by 10% of the licensed agents. The “best” agents first seek to understand the needs, timing and motivation of their clients by asking great questions and listening carefully to the answers. They rarely talk about themselves. They are devoted to outstanding customer service, knowing their market and the sale process and being well respected by their peers. They know how to negotiate with excellent communication skills and keep deals together rather than “kill deals” because of their misplaced ego. Smart consumers recognize the difference and insist on working with the “best”. Your agent will sit down with you and assess the current state of the market and what comparable homes are actually selling for by reviewing the market statistics for homes like yours. This way, you can objectively determine its fair market value and strategically price the home to achieve the best results. All while taking your motivation and what you can and cannot do to the home into consideration. Get a Free Market Snapshot now to get an idea of what homes just like yours in your local area are selling for. Most of us don’t keep our homes in top-selling condition. Your agent will work with you to help you see things from a buyer’s point of view. Your agent will consult with you on what to repair, replace or remove so that your home makes a GREAT first impression. Sometimes bringing in a staging team can also be helpful to achieve even better results. All homes in the US are subject to lead-based paint disclosures, it is a Federal Law. Some states also require material defects be disclosed to potential buyers. If you are aware of material facts, disclosing is the right thing to do to gain buyer confidence to purchase your home. If you belong to a Condominium or Homeowners Association, additional documentation, like budgets, rules and regs, financial statements, etc will be required. So preparing them now, is the right thing to do. Your agent should implement time-proven, research-based marketing strategies, and the latest visual, internet and social based techniques, as well as their specific relationships with the Realtor community and their personal and professional networks. Your home should be marketed with a plan that has the highest potential for bringing not only the most buyers, but also the right buyers to your doorstep. You’ll want to make your home as available as possible to accommodate showings. Your agent should setup a supra key to allow showings by buyer agents with appointments. You may also have an open house for the public, and your agent can hold a “broker open tour” to show the home to all of the Realtors in the area. When a buyer decides to buy your home, an offer will be presented. Your agent will advise you on the offer and whether the buyer is qualified to purchase your home. Most offers require some level of negotiation. Your agent will work with you to decide your parameters and will negotiate on your behalf to achieve your goals. Your Realtor should have specialized training in real estate sales negotiations. This is the most important factor in choosing the right agent. Your agent will open escrow, and introduce you to a talented real estate Attorney. Escrow protects all parties involved by making sure that no funds or properties change hands until all conditions in the agreement have been met. The Attorneys play an important role in in preparing the Purchase and Sales agreements, making sure that the Title is clear for a deed transfer to the new Buyer, and more. They will provide the Buyer with a Title Commitment through proper examination which also includes a search of any possible existing liens or open permits that exist for the property. If any existing liens or open permits exists they will have to be resolved prior to closing. Once an offer on a property has been made by a buyer and accepted by the seller, they enter into a legal contract known as a Purchase and Sale Agreement. The purchase and sale agreement is signed approximately 2 weeks after the offer has been accepted and all home inspections have taken place. The purchase and sale agreement will also include any agreements reached about items found during the home inspection. This document outlines the specific terms and conditions of the transaction and is acknowledged by both parties by the signing of the document. Your agent will work with the buyer’s agent to coordinate an appraisal, inspections and a survey (if required). If the buyer requires that certain repairs be made on your home, your agent will continue to negotiate on your behalf and recommend vendors so you can move successfully from contract to closing. Also, in some states, your agent will coordinate with local water and fire departments for certifications and final readings. The lender will order an appraisal to be done on the home to determine the value of the home and is worth the amount of money needed to purchase the property. The appraiser will schedule the appointment by contacting the listing agents office. The buyer does not attend an appraisal. This is the most important showing, and the listing agent should be prepared to prove the homes value to the banks appraiser. If the appraisal does not come in at full sale price, the buyers loan will be denied and the deal cancelled unless re-negotiated. The day of or day before closing, the buyers will walk through your home to make sure it is in the same condition and nothing has changed since the accepted offer. If anything is missing and/or damaged, the closing may be stopped if the issue can’t be resolved before closing. At the closing, ownership of your property is legally transferred to the buyer. Your agent will be present to advise you and ensure that everything goes according to plan. As the seller, you will need to be prepared to hand over any necessary documentation regarding the property and, depending on the arrangements made during negotiations, you may be required to have done something specific in order to close. Be sure to read all the documents and ask questions. It is important you understand every document you are signing.